The United Kingdom is one of the countries that has been known for their advancements in the financial markets industry, and this has been made possible by the brokers and other financial participants in the sector. One of these participants is called HL UK, they have been at the forefront of stock brokering, and they made the leap into CFDs and forex trading through a partnership with another recognizable form called IG Group who are the number one CFDs provider in the world. The major reason that HL UK is loved and appreciated by many people in the United Kingdom is their reputation they are one of the oldest brokerage firms in the U.K, and that holds a lot of impact for the aspiring clients, they will always go for the dominant brokerage firm and in this case, it is HL UK without a doubt. The one thing that HL UK has been able to do that many other brokerage firms have not been able to do is that they have diversified and they have various services that open their business to a massive number of clients than other brokers who have decided to focus on products. First, HL UK is the number one trading platform for the private investor in the United Kingdom; then there is a major problem with your decision-making process. They have a massive amount of capital they are managing, and this is one of the things that shows that they have a trusted team of people running the company. They have 55.8 billion Pounds worth of assets under management; this amount did not just come around from thin air it was built from their massive 738,000 client base. There are many brokerage firms that may boast of massive numbers, but I am more than certain they do not have this kind of numbers for clients. One may think that with this massive following it will be hard to cater for their needs and address their complaints, but rather they have a response time of 15,4 seconds for calls made to their customer center. The customer service has been vindicated by winning an award from Money Week Readers for the best wealth manager in the United Kingdom. All this cannot be something that a young company can achieve because the experience is a thing of the essence in this industry and that is what HL UK has 30 years of experience in the space and that is why no other company poses any competition. Apart from that, they are listed in the FTSE 100 list of companies in the U.K which is the highest any company can be listed on the London Stock Exchange. This may come as a surprise to many, but you may think, that a company like HL UK will obviously have subsidiaries around the world, but no they are 100% in the United Kingdom and apart from that they have offered employment to 950 people, talk of patriotism. For more information visit www hl co uk and more on their background will be discussed. A company like this obviously has a massive number of products on offer and being able to differentiate will help a prospective client know what to go offer. They have a trading platform called the Vantage Service that handles all transactions made by their private investors. 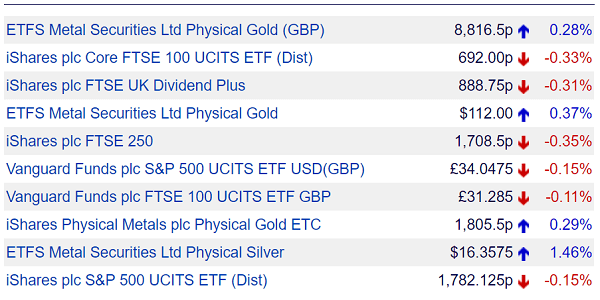 They have access to 2500 funds from the U.K, U.S, and Europe, among the products on the funds, is ETFs, shares, investment trusts, bonds and gilts, ISAs, and SIPPs. The beauty of all of this is that they products offer low-cost dealing, and they are tax efficient to ensure the extra costs do not eat into the client’s profits. They have principles that guide their approach to service provision; they are driven to grow their clients’ investments, and they vow to offer industry leading services that enable their clients’ easy access. Like every other broker it is important to work with a recognized and furthermore regulated broker otherwise you are gambling with your investment. That is why HL UK is well regulated, and they have authorization from Financial Conduct Authority, and their reference number is 149970. They have been able to win some awards over the years, and this has helped them gain the respect among their clients’ and peers alike. They have won the best ISA provider year 2014 from Money Week Magazine, and the same year they won the best SIPP provider, the best stock provider from the same organization. They have also won best mobile trading platform and best finance iPad app, and this proves they are driven towards providing the best trading technology. Like most brokerage firms there are services offered by brokers that common like ISA, pensions; which include SIPP, annuities, and draw downs. 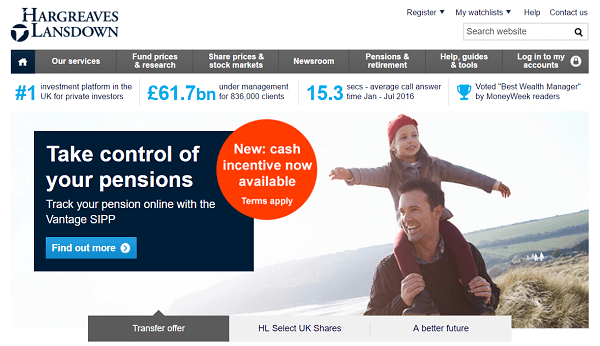 There is an addition to these that HL UK has added onto their portfolio; they have the investing services which are share dealing, fund and share account, investing for children, ETFs, investment trusts, corporate bonds and gilts, bed and ISA/SIPP. The most notable among all the investing services is the HL multi-manage funds that are run through the HL UK multi-manager service, this allows the clients to pool their funds and have an experienced trader handle their investing decisions, and this allows the client go by other activities without a worry that their funds are at risk. With the HL UK multi-manager, you can track your investment and enjoy your money grow without having to think of the risk and the equity management because HL UK has you covered from that end. All you do is withdraw your profits.